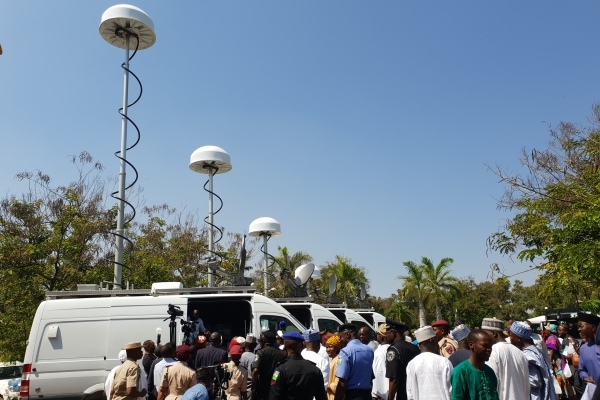 Barrister Adebayo Shittu, Minister of Communications, commissioned five TCI mobile spectrum monitoring and direction-finding stations at a high profile public event in Abuja on Friday, December 14. The equipment was supplied by TCI as part of a ~$9M contract providing a national spectrum management system for effective monitoring of radio frequency bands used to provide data and communication services throughout the country. The goal of the new systems is to stem irregular and illegal use of radio frequency, and also, according to Minister Shittu, safeguard the scarce radio frequency spectrum resource for judicious, efficient and equitable utilization by competing radio communication services; ensuring that users comply with the guiding laws and regulations. 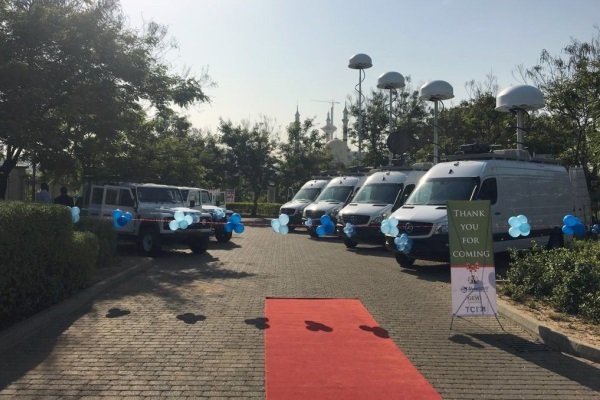 He pledged that the Ministry would do its best to utilize the equipment to improve spectrum monitoring activities and frequency management functions to minimize incidences of harmful interferences. He said that with these facilities in place, the ministry has the capacity and capability to detect, identify and locate the source of transmission and is therefore able to determine if a frequency user is duly licensed or not. Minister Shittu added that radio spectrum needed to be managed well for its efficient, judicious and equitable use by radio communication services to drive socio-economic development of the country. The services include aeronautical, broadcasting, maritime, mobile communication, radio navigation, and satellite and space research. Mr. Brian Beck, TCI’s Senior Director of Programs, presented TCI’s five mobile spectrum monitoring systems, national spectrum control center and automated spectrum management system. Mr. Tony Harris, TCI’s Regional Business Development Director, noted that the Ministry now has its “eyes and ears” of spectrum management in his address to the audience. With these tools in place, and with engineering teams fully trained at TCI, the Ministry is now ready to engage on an ambitious program to: provide reactive and proactive spectrum monitoring to generate increased license revenue; prevent illegal transmissions; and ensure the highest level of compliance – resulting in increased spectrum utilization and spectrum efficiency.